Jessying - Malaysia Beauty Blog - Skin Care reviews, Make Up reviews and latest beauty news in town! 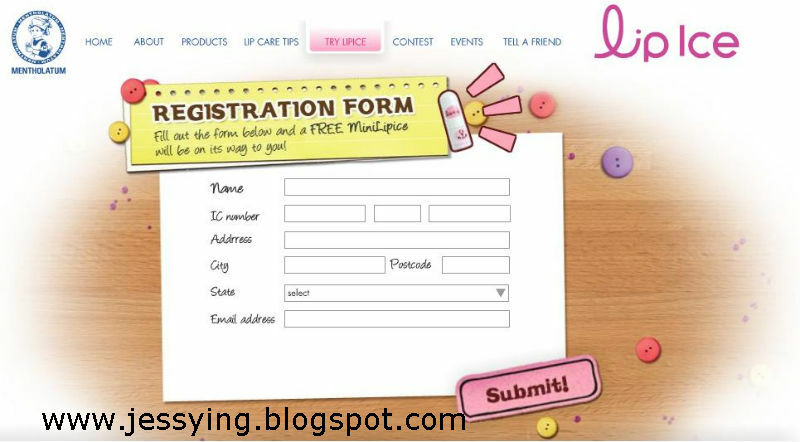 : Get a mini Lipice for FREE! Get a mini Lipice for FREE! Rohto-Mentholatum is giving a mini Lipice for free by registering yourself in the website here at http://www.lipice.com.my/.